One of the most influential make up artists in the world, Rae Morris has written the book on beauty (in fact, she’s written several of them…) Having perfected endless famous faces, she turned her hand to creating the most luxurious and effective brushes money can buy – and the results will change the way you apply make up forever. This beautiful pointed brush is ideal both as an all-over powder brush and for more targeted application in specific areas of the face – it’s great for the T-Zone and under-eye areas. Meticulously crafted by Japanese artisans, it features a super-soft head, a sleek handle and the the brand’s world-first magnetic storage functionality (‘Jishaku’ means magnet in Japanese) for seamless storage and perfect hygiene. 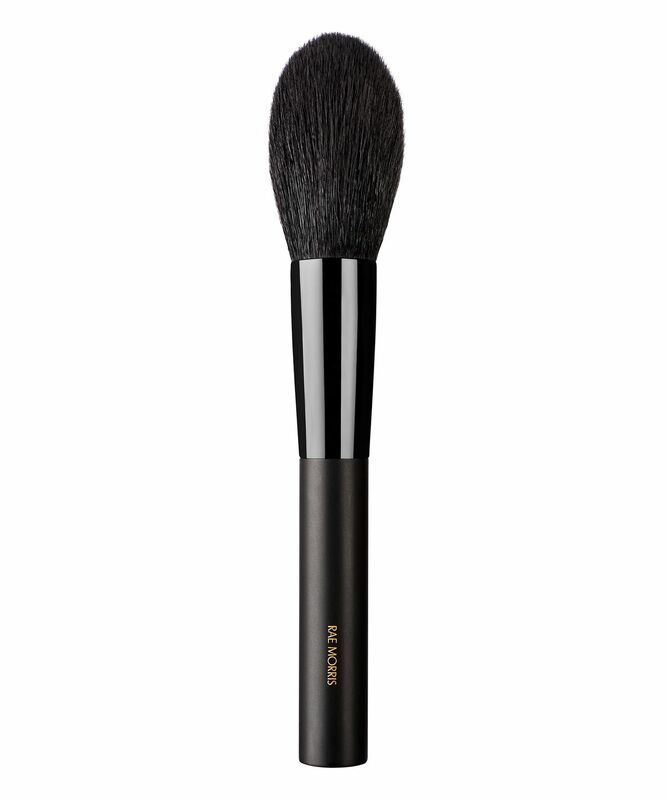 Use as an all-over powder brush or to apply powder to specific areas, including T-Zone and under-eye areas. A little overpriced maybe but the bristles are extremely soft and they bend beautifully with your face curves! The density of the hair is perfect to apply enough powder everywhere you need without overdoing it. The handle is lightweight and the gravity center is at the fattest part of the bristles (depends how you like your brushes but I like mine more centered) Overall wonderful brush that delivers what it’s supposed to! Good job Rae! Love my brush. It gives a lovely finish to my make up and is so soft. I have bought one for my mum for Christmas as well.